Welcome! My clients say I am a good listener and very focused. They say they can really count on me to help them reach their goals. I am a Licensed Marriage and Family Therapist (LMFT) with more than 25 years’ experience working with couples, individuals and groups. I am also an Arizona Board of Behavioral Health Approved Supervisor of associate-level therapists (LAMFT, LAC) and other therapists who require additional training and supervision. I lead workshops on couples’ skills. And I am experienced working with couples and individuals of different sexual orientations, cultural backgrounds and religious beliefs. A graduate of Columbia College at Columbia University, I did my graduate work at Arizona State University. I also taught at ASU as a Faculty Associate for ten years. In addition to my training as a Marriage and Family Therapist, I earned a Ph.D. in the Sociology of Aging, Illness and Health and a Graduate Certificate in Gerontology. Additionally, I completed an intensive two-year residency in Cognitive Behavioral Therapy (CBT) and Dialectical Behavioral Therapy (DBT) at Phoenix Interfaith Counseling, working with individuals who are seriously mentally ill. I have also trained with some of the leading couples counseling experts in the United States and Canada. These include Drs. John and Julie Gottman, creators of Gottman Method Couples Therapy and Drs. Ellyn Bader and Pete Pearson, creators of Developmental Couples Therapy. With this training as a foundation, I have completed many hours of advanced training with Dr. Sue Johnson and her associates in Emotionally Focused Therapy (EFT) (www.iceeft.com). I am also one of the Founders of the Arizona Community for Emotionally Focused Therapy (www.AZEFT.com). 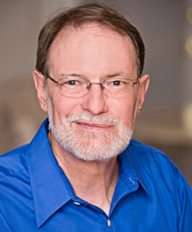 Dr. Johnson is the creator and leading practitioner of EFT, the relationship therapy that many consider the most effective form of couples therapy. See What is EFT. I work with couples at all stages of relationship – premarital, marital, divorce, and post-divorce. I also help couples and individuals as they seek to overcome depression, anxiety, grief, diagnosis of a life-changing disease, addictions, bipolar disorder, and patterns of personality and behavior that interfere with life satisfaction. As a prostate cancer survivor, I can help individuals and couples deal with the complex feelings that arise from this form of cancer, helping them maintain a more intimate, more connected relationship at all stages of the process of diagnosis, treatment, and what comes afterwards. For nearly thirty years, I have had a deep interest in the special emotional, psychological, and spiritual challenges of being male. I find great satisfaction in helping men reach their full potential for happiness and joy. As a counselor and gerontologist, I also have a lot of experience dealing with issues of aging and the concerns that arise at the end of life. 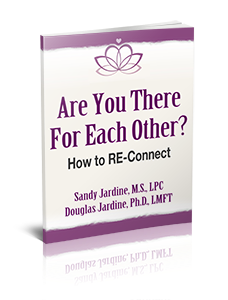 Sandy and I can work with you individually or as a co-therapy team, to help you live the life you desire. For more information, call me at 602-538-9094. I can answer your questions, provide a brief, free, phone consultation, and set up an appointment.